I know, I know when you've hair full of Weetabix and a shoulder full of formula spit up make up is usually the last thing on your mind. I'm going to to as far as saying that if, in the early days you even manage to get moisturiser onto your overtired visage then, girlfriend you're winning at life. There are times though, whether they be the school run melee or just greeting the post man that you'd like a lil' suhim suhim to make you look like you have a pulse. These four handy products tick all the boxes and have helped me out consistently when darting about (even though my youngest is almost 16). BB creams have come a long way from their first incarnations last year. They're the perfect hybrid between full on foundation and a sheer tinted moisturiser - if you get a good one that is. 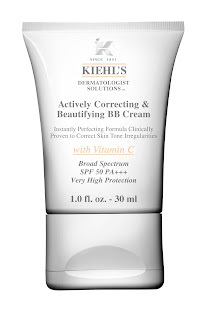 This iteration from Kiehl's boasts Vitamin C and a whopping SPF of 50. Promising to actively correct skin tone, you'll get a good 6-8 hours wear without the need to reapply. Excellent. 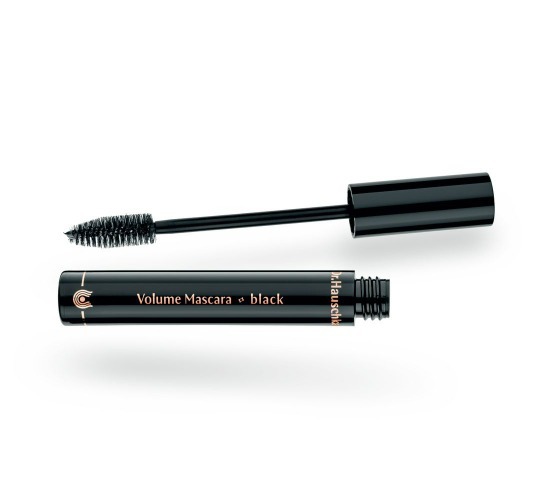 Trusty mascara is invaluable to widen the eyes and give people the illusion that you're not in fact asleep with your eyes open (again). This rose scented Dear Eyes mascara from Dr Hauschka is a beaut for fuss free application. Refusing to clump or smudge, lashes are separated, lifted and held in place for the duration of the day (and night too if need be). It's all about time saving when you have literally five minutes to do your face. 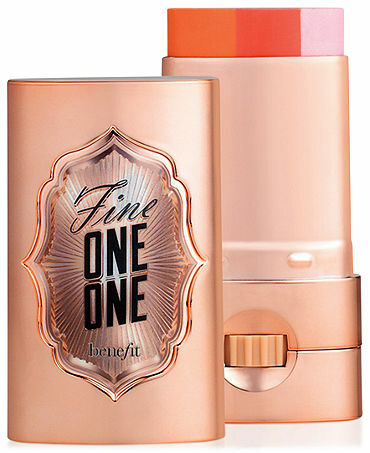 This little beauty from Benefit is a threefer for twofer, blush, highlighter and contour for lips AND cheeks. Time saving genius. Again products that will do two things at once are a boon for mums on the run. These new Appleicious Glossy Lip Balms from brilliant budget brand NYC give the most beautiful swatch of colour to lips and their trio of Shea Butter, Jojoba and Avocado Oil hydrate and protect lips for up to 4 hours at a time. (The weenchy price tag of €2.49 is not to be sneezed at either). Tell me, have you a go to product that can used when time is of the essence? Have you tried any of these beauts? I'd love to know. Would love to try that BB cream, seems like it would be lovely! I used heavy powder (you know the stuff that claims to work like a foundation - it doesn't give that much coverage, but it's something) for a quick touch up when I don't have time for foundation or concealer. At the moment I've got Loreal True Match and it's doing a suprisingly good job. Previously I've had stuff from the Body Shop and Clinique.